Copenhagenize.com - Bicycle Urbanism by Design: General Motors "Like Bikes"
In stark contrast til General Motors' "Stop pedalling, start driving" campaign, here's a film from what appears to be the 1970s that was produced by General Motors. "I Like Bikes". It's a weird film and with its 13+ minutes, it's a bit of a snore, although strangely appealing in a zen-like way on a Saturday morning with a hangover. Like watching snooker on Eurosport. I used to teach storytelling and screenwriting and in that talk I highlighted the evolution of the length of storytelling and the journey from the dawn of the television age to brevity in our dramaturgy. In the 70's you could spend almost 14 minutes explaining what we would, today, compress into 3 minutes or less. Watching the film is like listening to a looong story told by an inebriated, aging member of the family at a dinner party. No clear beginning, middle or end. Getting to the point, if there is one, is like pulling teeth. But hey. I have absolutely no idea what it's about. I expected a whole bunch of ignoring the bull but it appears, suprisingly, to be rather balanced. Making drivers aware that they should watch out for bikes because they're hard to see. I'm assuming it was a film made for school classes. 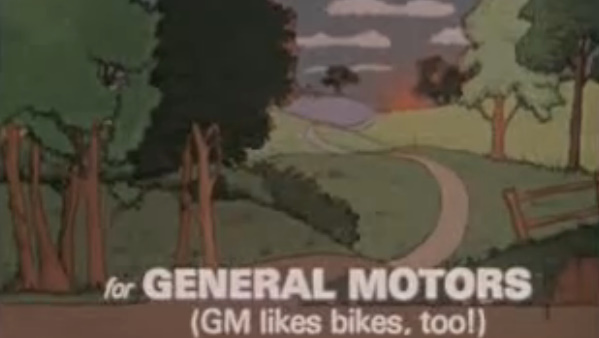 Whatever the case, GM says they like bikes! 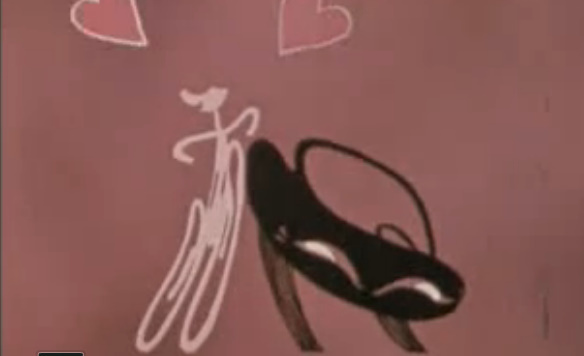 They produced a film placing the responsibility on the motorists to be aware of bicycles. A film that seems to respect the bicycle's prescence on the urban landscape. It's wild! It's crazy! Did I miss something? Suffer through the film, like I did, and let me know what you think.